Utilising practical and theoretical business planning methods, Youth Eco Labs brought the passionate and business aspiring youths on a 3-day field trip to Prey Leang Forest where participants had the opportunity to identify problems directly affecting the community. 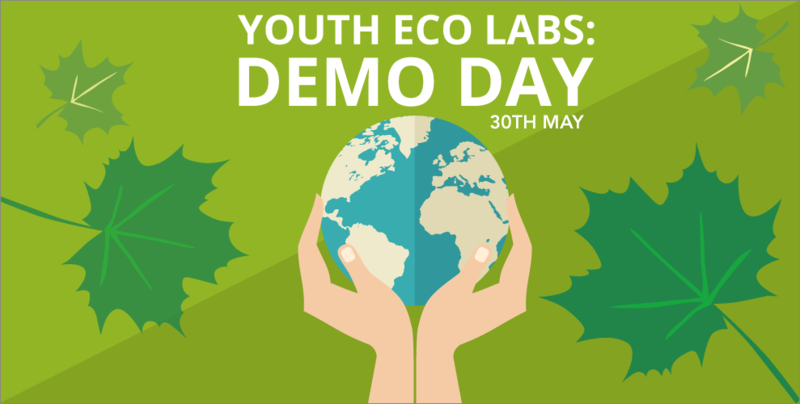 “Through Youth Eco Labs’ we’ve witnessed aspiring entrepreneurs turn their passion for environmental impact into a viable social business model. They have been working so hard prototyping, speaking to their customers and adapting their business model. Now they are ready to share their hard work during the upcoming Demo Day,” explained Melanie Mossard, Director of Community at Impact Hub Phnom Penh. After 10-weeks of intense experimentation and modification, eight teams are finally ready to present their polished solutions to potential partners and the community. Participants will pitch to judges U.S. Ambassador to Cambodia William A. Heidt, Eco-Life Cambodia co-founder Srey Neang Krech, and Ali Al-Nasani, Country Director of Heinrich Böll Stiftung. Teams with the most potential will be awarded Impact Hub Membership for Long-term Support & Promotion, while the winning team will attend a “Let’s Chat” programme with the U.S. Embassy that will help promote their business idea to a wider audience. Head down to Impact Hub Phnom Penh on the 30th of May at 6pm to find out more about these solutions that will help positively impact the environment. Register now!